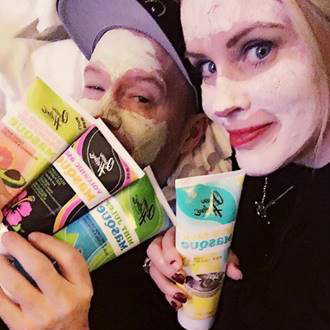 These love birds can’t get enough ofQueen Helene face masques, and we don’t blame them! They’re the perfect stocking stuffer for anyone on your list as they offer something for all skin types – oily, acne-prone, normal, dry… you name it. 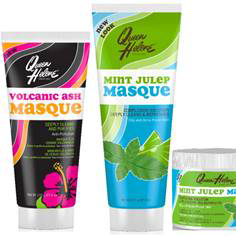 So don’t walk, RUN to your closest Walmart or Sally Beauty and pick up any (or all) of these masques that are sure to please even the most picky person 😉 Because, who doesn’t want the gift of refreshed and glowing skin!? This entry was posted in Uncategorized and tagged #360magazine #globalsociety #vaughnlowery, avocado, beauty brand, couple activities, couples, cute, donnie wahlberg, facial masks, gifts, goals, holidays, Jenny McCarthy, love birds, mint julep, mint masque, mud treatment, queen helene, Sally beauty, skin care, spotted, stocking stuffers, Victor Harrington, Wal-Mart on December 20, 2017 by wp360mag.